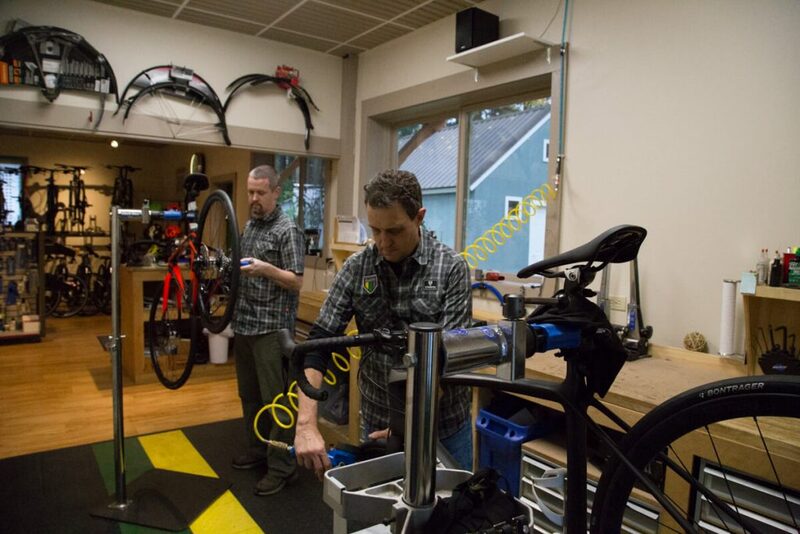 Battenkill Bicycles is a full-service bike shop with decades of experience in bike repair and servicing road and mountain bikes for casual or competitive riders. Spring is here and so are the riding days (albeit random for now) so be sure to get your bike into the shop ahead of the rush and make sure you’re ready to hit the road or trail when the roads clear and warmer weather returns. All the same work as the full tune up, and adding true wheels off of the bike in the truing stand, new shifting cables+housing installed. This is a service recommended by the manufacturers to be done at least once a year.Removal of fork lowers. Remove open bath fluids.Clean lowers and stanchions. Replace dust wipers. Check bushings. Replace open bath fluids. Reinstall lowers.